Marmot’s Lead Now Tour – Room to Read – Wesley Memorial Primary School from Lead Now on Vimeo. 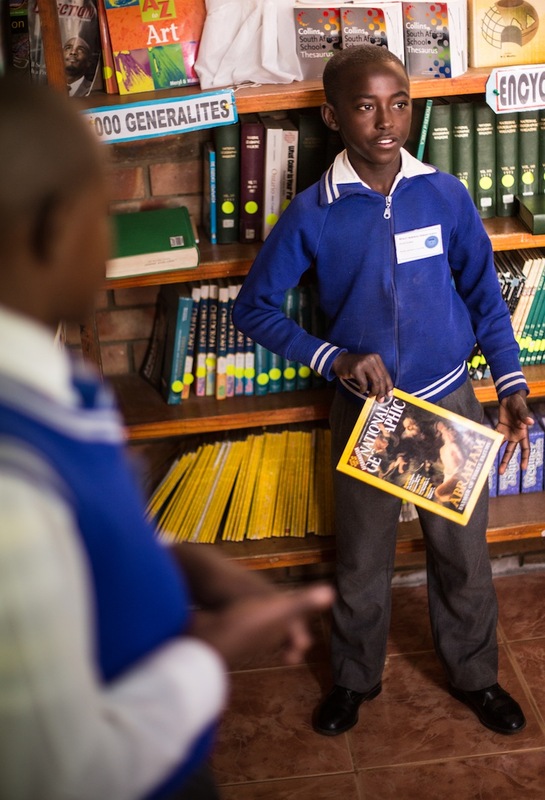 Last week, Jon and I visited an elementary school in rural South Africa, whose library is supported by Room to Read. Room to Read works with communities, schools, and local governments to promote literacy and gender equality in education throughout Africa and Asia. 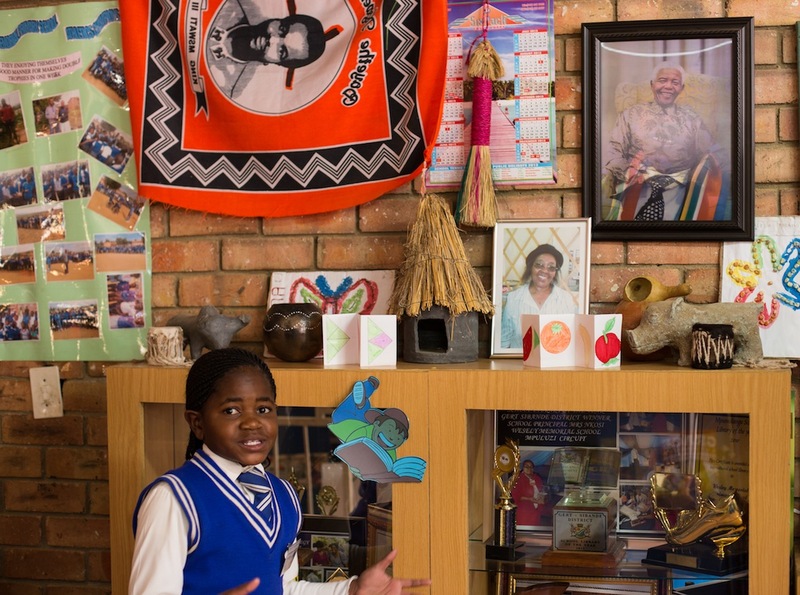 At Wesley Memorial Primary School, Room to Read provides furniture, books, and guidance so that over 700 students have access to encyclopedias, textbooks, novels, and more. During our day at Wesley, each grade from R (kindergarten) to 7th gave us a presentation about what they were learning. We were welcomed with a parade, heard story telling, poetry reading, and talk shows, and saw a traditional dance (see video below). 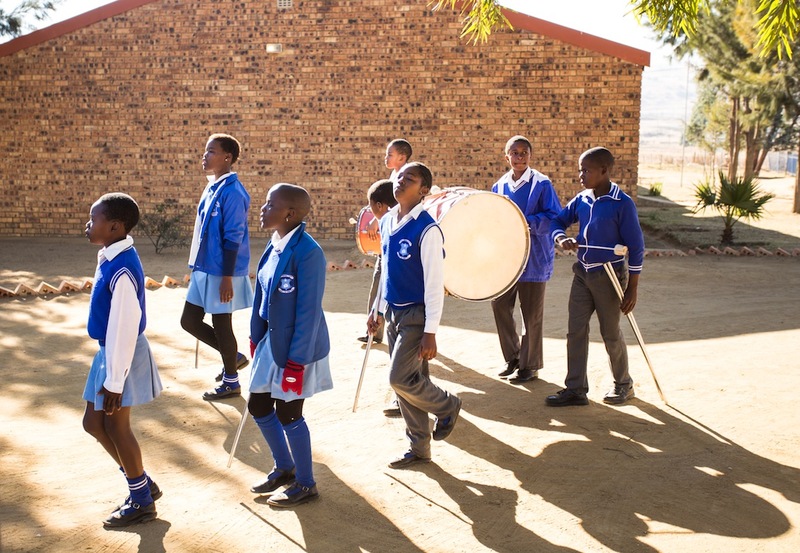 Each of the children we met at Wesley spoke at least two languages, presented flawlessly in front of an audience of strangers, and expressed relentless dedication to their education. When asked to show us their favorite part of the library, each child pointed out the particular shelf of books they needed to read to grow up to be doctors, geologists, inventors, or business women. 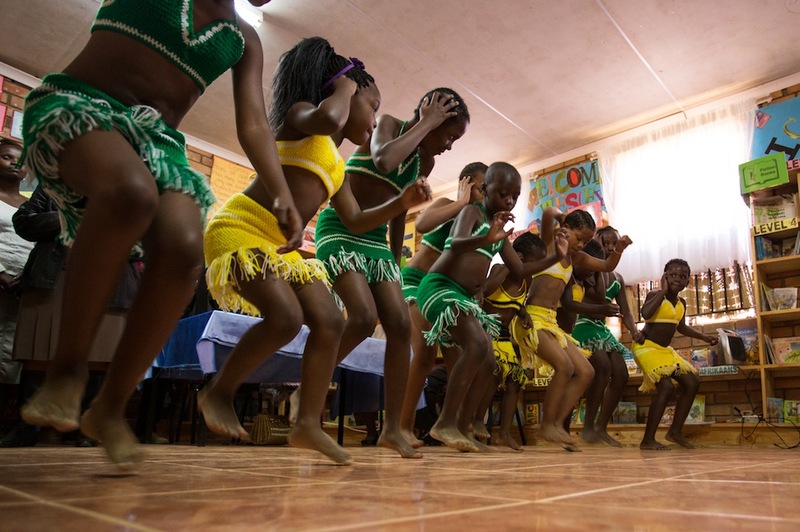 50% of the students at Wesley are orphans of HIV/AIDS and raised by older siblings. Many of the kids only eat 5 meals a week, and those are the meals provided at school. After school and on weekends, they are left to fend for themselves. One girl in particular that caught my heart was Angel, a ten year old orphan. As one of the library monitors, Angel helped lead the presentation. As a young child, I was totally incapable of speaking in front of people, let alone strangers from the other side of the world, but Angel had no problem at all. She spoke confidently, held my hand, and asked all sorts of questions about climbing. I honestly didn’t know what to expect going into a school as a climber and hoping to relate to kids. They’re trying to eat, not buy quickdraws to go sport climbing. But instead, Angel and her classmates asked about fear, falling, and how I didn’t get tired – all with wide eyes and open mouths. But what really got me were the two questions Angel whispered in my ear just before I left – “when are you coming back?” and “can you help me make a plan to expand my library?”. Right then, I knew my time at Wesley was not over. I want to go back, to find a way to help these kids eat regular meals, build a bigger library, and achieve their dreams of moving on to University to become scientists and doctors. 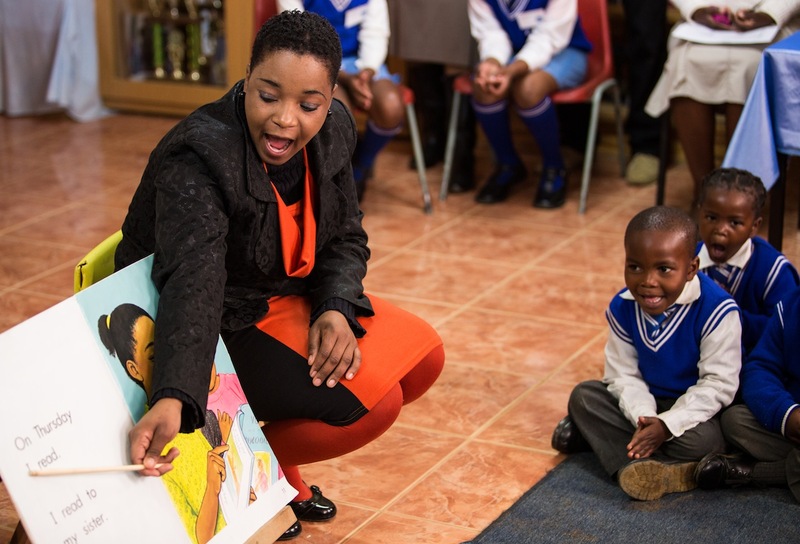 To start, we’re hoping to raise $10,000 for Room to Read to help Wesley and similar schools throughout South Africa. 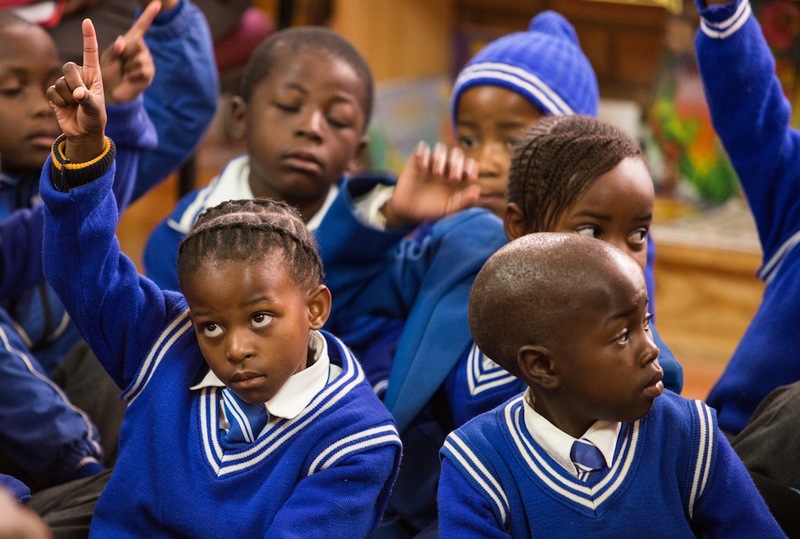 We’re about 1/4 of the way there, so help us meet our goal or spread the word at http://www.crowdrise.com/SouthAfrica-RoomtoRead. Paige -your world view is expanding – thank you for expanding ours. Hearts broken for the needs of others leads to healing for all.